After Biebel found this technique, I decided to try it and it works. Now im writing a quick tutorial to explain in detail. Thank you, C & N.
I'm following all the steps outlined in the tut and it doesn't work. When I re-import my model it for some reason comes back blank with no textures on it! 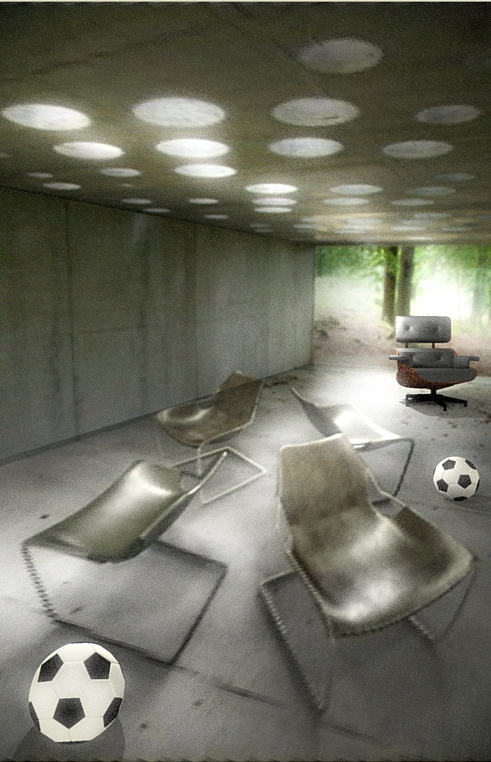 In the attached image the model on the left is the imported one and on the right is one straight from photomatch. It is about how 3ds import works with textures. 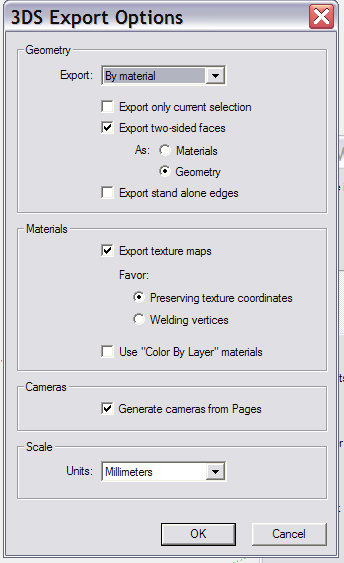 You need to make sure that your .3ds file and all textures which came out with export are in the same folder. 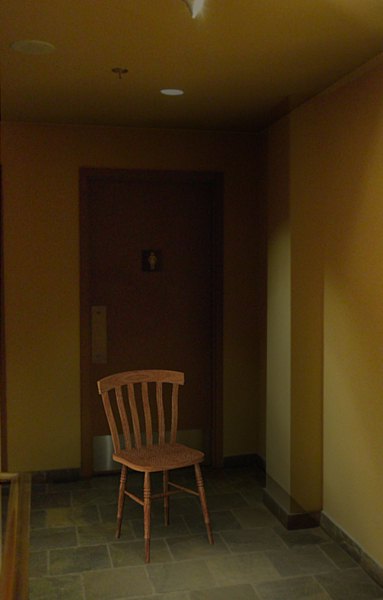 i looked and it seems that it exports the other textures for the chair, but not the photo for some reason! 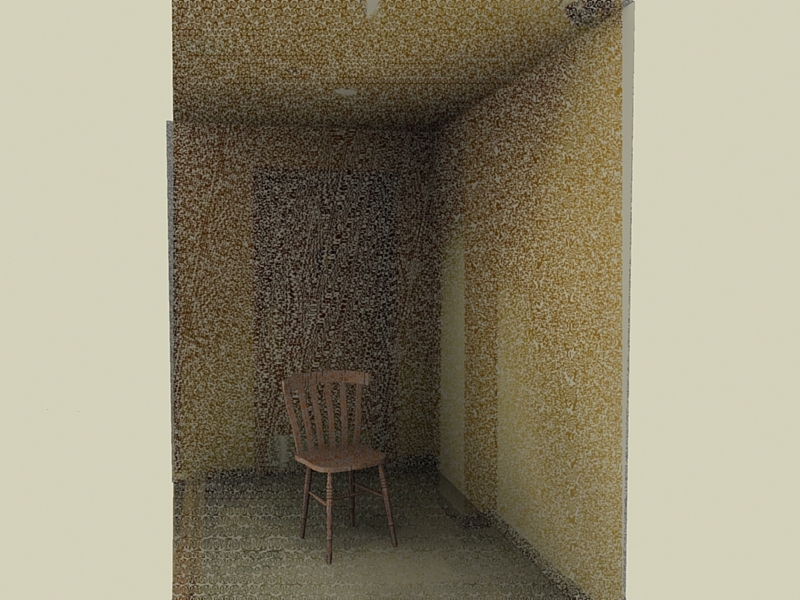 no textures that came out of the photo are in the folder with hte 3ds file. any ideas why? When you export 3ds you should have separate jpeg texture files. All these together with .3ds should be together in one folder. I had this loads of time trying to import .3ds and textures would be missing and instead would be blank faces. Make sure you create folder and save .3ds in the folder. I got the textures... but now look at the result! Well I have not tried this myself...maybe Nomer will chime in to answer the question. Usually when I export and import I do not have problems of this nature. I figured that one out - it was doubled up faces for some reason. Attached is the result - just a trial as you can see but I'm planning to start using it in my work very soon, so thanks again! It looks good....glad it worked for you. I am thinking it would be useful to make more detailed rendering process of the photomatch to include procedure how to export to 3ds and back.... I will try to find some time to do it. i'm sure that would help a lot of people!